There are a few options for doing the city tour – either a walking tour (half or 2/3 of a day) or the traditional way which is a half day tour that includes table mountain and a tiny bit of the city. Our preference is to show you the city – and to truly experience a city, it is best to do so by walking and exploring! This way you can get the real feel for the city and its people. To show you the full picture takes time – as such we would recommend you do a 2/3 of a day city walking tour with us! We also believe that the best way to really understand a culture is through the cuisine of the people – as such our recommendation would always be to do our tour that combines the history with the cuisine. We call our foodie city tour the Cape Town Eats City Tour. 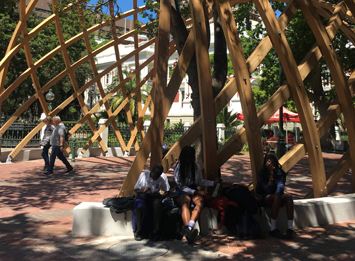 A longer walking tour gives us the chance to pause as we go – we can pop in and visit Museums such as the District 6 Museum or to shop as we go. In addition we stop to enjoy lunch in the city during the tour. Or to snack a little as we pass through the city as we do on our Cape Town Eats Walking tour! Today we wish to walk a substantial amount in the city in order to give you a through overview of our city and its history. 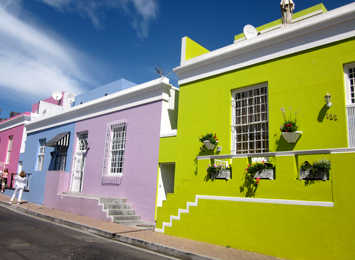 Our tour starts in the magical colourful area of the Bo-Kaap. This area is viewed as our most historic Cape Malay region and is home to a very close knit Cape Malay community. 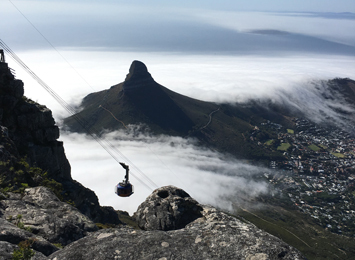 Traditionally Cape Town has offered a half day city tour as a combo of Table Mountain Cableway and then a short visit to the city. Our feeling is that this option only gives a tiny taste of the city – however if that is all you have time for – then book this option! This tour aims to climb under the skin of the city so that by the end of the day you understand the pulse of the city. 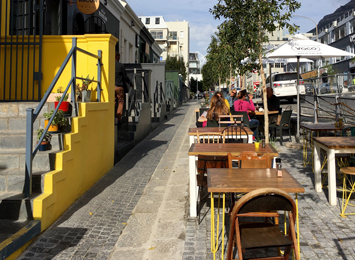 We explore the city from all sides – the history, the people, their cultures, their cuisines, as well as contemporary Cape Town and its artisanal trends.